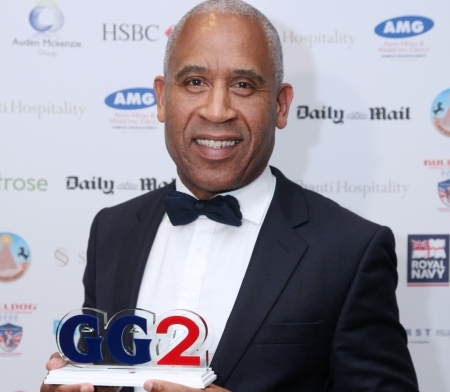 Operation Black Vote director Simon Woolley was last week awarded the GG2 Pride of Britain Award, which recognises an individual for their outstanding contribution to society, at the annual GG2 Leadership Awards. The GG2 Leadership Awards, now in their 15th year, aim to highlight and showcase ethnic talent and leadership within the UK. The gala ceremony was attended by Deputy Prime Minister Nick Clegg, who spoke about the important role that the community has played and continues to play in the infrastructure and economy of Great Britain. Seeking to encourage ethnic achievement in the UK, the awards recognise a diverse group of individuals. This year, Simon Woolley was awarded the prestigious GG2 Pride of Britain Award. Woolley is one of the founders and Director of the influential organisation, Operation Black Vote which was established in 1996. He assisted in guiding the project from conceptual idea into a fully-fledged national organisation, recognised for its valuable work on behalf of the community. In light of his efforts, Woolley won the accolade for his work in securing racial justice and equality in the UK with OBV. As well as the Leadership Awards themselves, AMG also unveiled its annual Power List, which features the top 101 most influential Asians in the UK, ranging from all walks of life. Now in its third year, the list honours some notable British Asians who hold power and influence not just in Britain, but also globally. The annual gala event attracted a diverse and powerful audience of high achievers who showed their support for ethnic achievement in the UK. Joining Deputy Prime Minister Nick Clegg, other luminaries such as Keith Vaz MP, Sadiq Khan MP, Alok Sharma MP, Paul Uppal MP. From the entertainment sector, Preeya Kalidas, Goldy Notay, Ray Panthaki, Laila Rouass, presenter Gillian Joseph and snooker champion Ronnie O’Sullivan. Teenage activist Malala Yousafzai tops this year’s list for her work in raising awareness for female empowerment. The teenager, who was nominated for the Nobel Peace Prize earlier this year, is recognised for her courage and bravery in the face of adversity. As a powerful and influential spokesperson, with the ability to reach out to global audiences as well as political decision makers, Malala’s top position on the Power List is certainly deserving. The top ten of the Power List alone sees some distinguished names across different sectors including media and entertainment, politics and business. Last year’s number one, Labour MP Keith Vaz moved down from the leading spot in favour of Malala Yousafzai, and now comes in at number two. Representing the business and finance industry, the Hinduja brothers were awarded the number four position.